JM4 Tactical is a brand new holster company with a brand new take on leather concealed carry holsters. The Quick Click and Carry holster is innovative as it uses super powerful magnets to create a belt clip, without the need for an actual belt. The magnets also provide a level of retention that keeps the gun seated inside the holster, so there is no need to worry about it falling out. The leather is nice and soft and the workmanship is high quality. I found it to be very comfortable, even in the appendix position. It's easy to get on and off, and the magnets make it versatile. What do I mean by versatile? You can literally remove the holster from your waistline and stick it to a metal portion inside your vehicle for quick access while seated. I personally like to use the magnetic feature to stick my every day carry (EDC) gun to the inside of my safe. JM4 Tactical holsters are going to be popping up everywhere because of the innovative design. There are other holsters trying to imitate the magnetic retention design feature, but none of them can come close to this magnetic retention, concealed carry gun holster. I was skeptical at first about the magnets and wondered if they'd be powerful enough to hold it on my pants or belt when I draw, let alone provide any retention. I'm glad to say that I was wrong, and that these magnets are STRONG and handle the draw and retention of the gun, even when flipped upside down. It doesn't matter what I wear, as the magnets click together without the need for a belt, it really is a unique design that may be a good fit for you. Make sure you check out my video review below, where I show it in action. Check it out! Learn more about JM4 Tactical's Holsters, here! I LOVE my QCC!! I am a small woman, & currently carrying an M&P 9mm. I like carrying in the SOB because a gun is usually best concealed there on my frame. I can slide this around to get it off my spine or into a 4 O’clock position, or anywhere else I want it. I love that this just drops into place when I put it on, it has Zero extra bulk, I carry in skinny jeans with a t shirt & unless you know I’m carrying-you don’t know I’m carrying… that’s the point. We would like to buy one of your magnetic holsters. 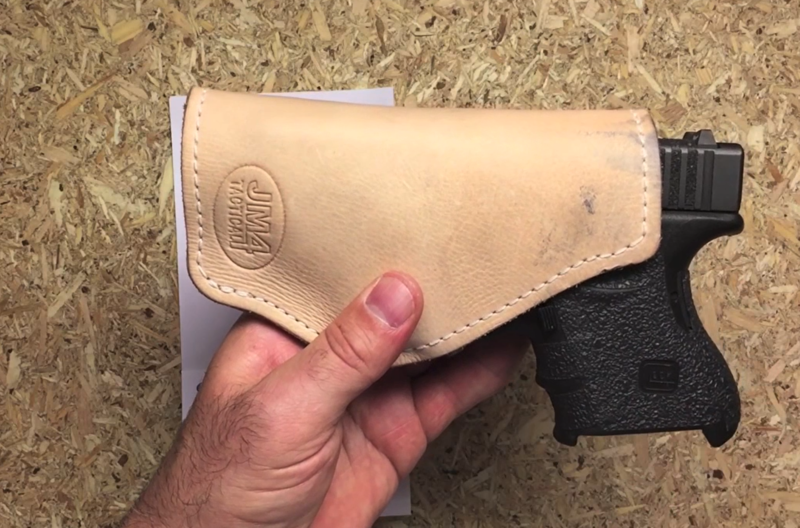 What size holster is in this video with the Glock 27? According to their website, a G27 will fit the XL Short 2. If you have a laser or anything like that, I’m sure it’s a different size.